Explanation: Alluring noctilucent or night-shining clouds lie near the edge of space, some 80 kilometers above Earth's surface. Of course, when viewed from space the clouds are more properly called polar mesospheric clouds (PMCs) -- seen here for the first time in image data from the Aeronomy of Ice in the Mesosphere (AIM) satellite. 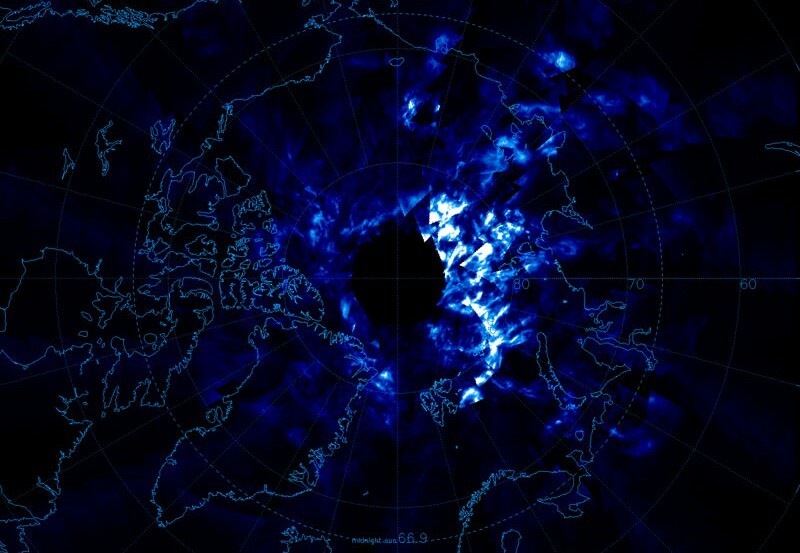 The clouds form over the poles in the corresponding summer season and are now being seen more frequently at lower latitudes. 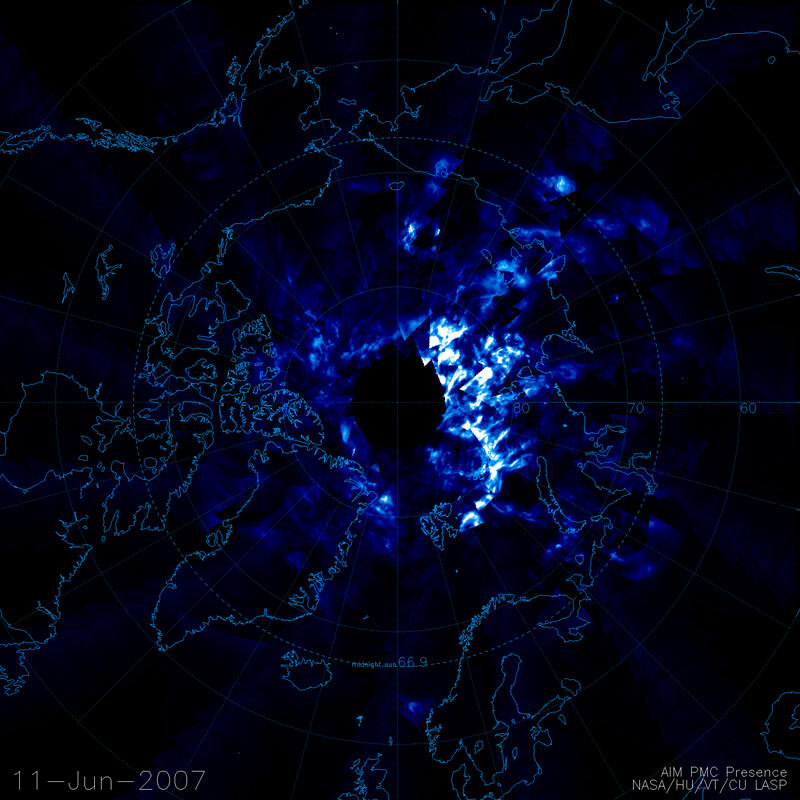 This paticular view from June 11 details the PMC structures forming over the north polar region in white and blue. (Black indicates no cloud data was available.) The AIM satellite should be able to track two complete cloud seasons over both poles to investigate possible connections between the high altitude night-shining clouds and global change in the lower atmosphere.